The essence of successfully square dance calling a more involved bunch of choreography to a group of dancers often is in a memorized set of calls. By having a memorized routine you can then deliver with mental confidence and accuracy and you can even focus on your timing, directions and better enable the floor to succeed in getting through your choreography. So now the big hurtle to clear is focusing on memorizing the sequences that you want to deliver. When you want to remember a sequence, you can picture yourself dancing the calls in the square and focus on your path that you make as you move through the square as a dancer. This is a memory journey that you map out as a dancing route through the completion of the particular sequence you are memorizing. By plotting yourself a visual mental journey through the eyes of a dancer you can learn the memorization of calling sequences much more easily. This takes practice, but if you can visualize then you can draw upon that map to keep the sequence of calls in proper order. By using mental image memorization you can simply access the calls that you need when you need them. Modular calling is a method that is useful because it allows for both variety in choreography and the control of resolving the square into a recognizable “in sequence” dancing formation. By memorizing modules prior to the dance all of the dance figures and call combinations presented are given with the options that afford the caller the judgment/decision about whether to give another module or continue on with a get out to bring everything back together again. Several things happen when you write your own choreography. You must understand what the calls do, where they take the dancers in the square, and how to combine the calls in an interesting and smooth manner. This is kind of a tall order to have to fill. The upside is you can then remember what you have created much more easily than if you try to memorize and use other square dance caller’s material by rote. I find that anything that I have written myself I can much more easily recall later on at the dance because the ideas came from my own creativity. Make it easy on yourself in remembering a set of calls by creating the whole thing yourself. Memorizing figures will enable you to add another tool to your toolbox of abilities as a square dance caller. Make it a part of your calling routine in practice and live at square dancing events. Visualization of square dance calls, writing choreography and using modules can be combined to aid you in strengthening your calling for all dances that you entertain at. If you make an effort to memorize even a little of your overall program, then you will have an arsenal that can pay off for years to come. Have a great time calling out there! Contact me if you have a question or you need a square dance caller coach! It might be hard to believe, but in a month or two you will have to practice in a different way because your ability to square dance call will have changed…and every modern western square dancer who attends your dances will have changed their abilities and adapted to your style of delivery. Even the basic choreographic figures that you call. The same goes with songs you use if you call to that group or club regularly. For these reasons, a rigid and tired set practice session with the same ol’ songs will not push you to improve as much as you need to be pushed… the same stagnant schedules that are not specific to you and practicing that way will not take you further. And this is why. Square dance callers need to create a routine that is big enough to include all items that they need to practice in order to reach both their short and long term goals. Not just the half dozen singing calls that they use far too often and generally overpractice and overperform. To do this effectively, you will need to know how to distribute each of those many practice items across many days. In other words, do not create a one – day schedule that you repeat each day, but instead a 5-10 day schedule that is effective, flexible and correctly distributes those items over several days for maximum results. As a caller at any level of ability, you need to track every minute of every song that you practice in a log. This is important for many reasons. The most obvious one of these reasons is to track your progress. Another reason is to observe any songs or choreography figures that you may have missed (or not completed) practicing on a previous day or even during your week of practice sessions. By doing things this way, you will always know the exact things you are neglecting and then you can go back to those specific things that you missed and practice them. Both are critical contributors to your overall calling improvement and success. On another note, do not assume that the more you have a song or choreography figure mastered (in your opinion), the less you need to practice such items in your song repertioure. Set aside some time in your logged time for practicing so that you can maintain a strong ability set for everything you might have to call. Further, learn how to accurately and consistently KNOW how your various skill levels (for each particular choreographic figure you need to practice) needs to best AFFECT how often each figure should be practiced. Ultimately, your skill level at this particular time for each practice session should be directly determined by, as an example, how much time each day that specific timing phrase for a figure needs to be practiced. Check the MY TIME LOG to see how long you should set time aside for practicing timing. Know how to correctly and effectively balance your personal urgency in wanting to improve on something new (like a new singing call) and your quest to achieve your long term goals. A singing call which you feel is urgent for you to master may be part of your short term goals. Most of the time you just need to be patient and follow the outlines in MY TIME LOG and make it a twice practiced through item and it will really be a part of your long term goals by way of your practice of material. Depending upon how often you add the song to your practice regimen, it potentially may be part of both, or neither. So in each of these cases you might need to create a song and choreography schedule differently for that particular need. Understand what you can capably call and use that to develop ideas to improve. Learn to fully understand the different separate strategies to reach short and long term goals through your practice time when you work through your practice routine. Then build your choreography ideas and your ability to sing and entertain to implement those different strategies for each item on your schedule as it pertains to each type of goal you have. 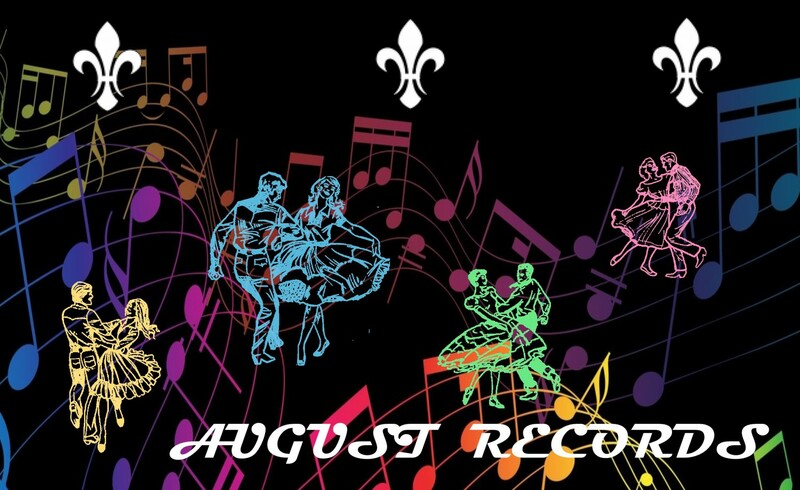 As time goes on, you will have to make changes to your catalog of songs and add new choreographic figures to meet the interests of the dancers. There are a couple of reasons why you need to update your ways of studying, writing choreography, singing songs that will need to be changed in your program. Strive to fully understand the different ways you have to adapt to your practice needs. Why? Because your skill level and overall your square dance calling goals and challenges will naturally evolve as you improve as an entertainer and choreographer. Simply, what and how you practiced last month will NOT be the most effective approach for you to practice this month. Your practice routines must change as your calling changes, each time taking into full account the above mentioned factors that affect how you call. One thing that helps a lot with efficiently used practice time that goes hand-in-hand with the MY TIME LOG program is to time your practice session in segments. After you’ve created your new calling practice routine, it is important to use some kind of automated timer, such as an egg timer, that will keep track of your practice time for each section of your practice routine. This will keep you moving forward and tell you when it is time to move on to the next part in your schedule. Combining the MY TIME LOG and using an automated timer in this way will keep you on the edge of maximal improvement in the least amount of time! Obviously, sorting it all out and figuring out how to correctly do everything you need to do to improve on a regular basis is extremely daunting and kind of overwhelming even if you have a LOT of experience as a square dance caller. Consider enlisting a caller coach to help you out in your quest to improve. You can access lots of great and useful information on my website and some of these articles will give you easy-to-follow step by step instructions to get you started on the road to improvement right away. If you have not checked any of them out, please take some time to do so. OK, so now it’s up to you… You can make a huge positive change in your square dance calling ability… or you can do things the same way you’ve always done it – keep struggling, remain stagnant in your practice habits as you hope that some day something might turn for you. Call me at any time you have a question, I would be glad to help you out!